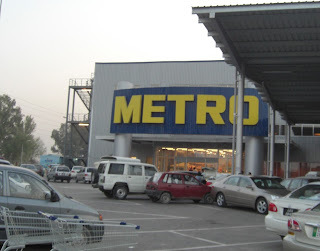 Although there are many great shopping places in different cities of Pakistan but one of the best among them is Metro Cash and carry which has got 9 big stores In three big cities of Pakistan Lahore, Karachi and Faisalabad. Metro Cash and Carry got large range of all types of products that you can buy in less rates. Dresses, Computers, TV, Toys, Foods every type of products are present at Metro. Its also an ideal place for retailers to buy the wholesale products and then sale with profit. i went to Metro store On Sunday and was really impressed to see the products there. however there are also some products that are available on higher rates than other markets so be careful while buying anything.